A police SWAT team killed a suspect after a ten-hour standoff in a Billings, Montana, sporting good store. 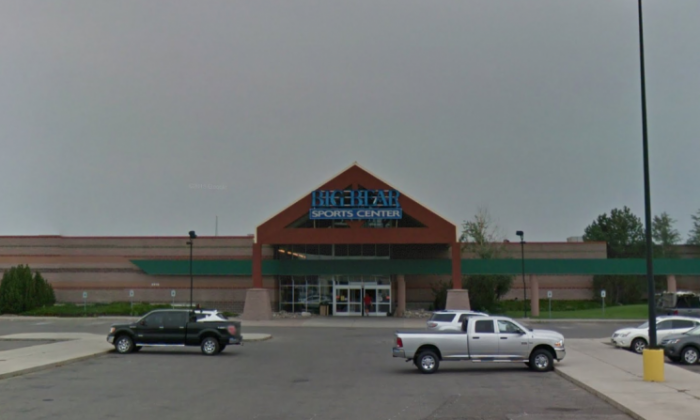 The suspect drove a red Mercury Mountaineer SUV through the entrance of the Big Bear Sports Center around 3 a.m. on Saturday, according to Billings Police Chief Rich St. John, KTVQ reported. The man then barricaded himself inside, Great Falls Tribune reported. The suspect was reportedly ejected from a nearby Walmart earlier after he tried to steal firearms. Big Bear Sports Center was closed when the suspect breached the entrance. There no employees inside at the time. Upon arriving at the scene, officers exchanged gunfire with the suspect. A standoff ensued with at least seven officers firing their weapons, St. John said. The suspect tried to exit the building at one point through a door on the east side of the building near a PetSmart store. He pointed a rifle upon coming out and then retreated inside. Officers on the scene then used a bullhorn to try and negotiate a peaceful solution with the gunman. At one point, an armored vehicle cleared the entrance to the store to give officers a better view. No officers were hurt during the shootout. Police parked two dump trucks near the entrance to shield nearby King Avenue from stray bullets. Police used several flash bombs during the standoff. Eventually, they commandeered a remote-controlled vehicle to inside the store to look for the suspect. Once he was located inside the store and a path was cleared to enter, a SWAT team rushed inside and found the gunman dead, apparently from a gunshot wound from the earlier shootout. The sporting goods store suffered significant damage. The entrance was wrecked and police reported a water leak and a gas leak. Authorities are in touch with the store owners. “This is one of the most difficult situations I’ve ever been involved in,” St. John told KULR-8. The suspect fired shots inside the store, at the armored vehicle as it cleared the entrance and at officers. Investigators are now combing the store for evidence. Billings is a small city in Montana with a population of around 110,000. Big Bear Sports Center has operated in Montana since 1959. The brand has a second location in Great Falls.